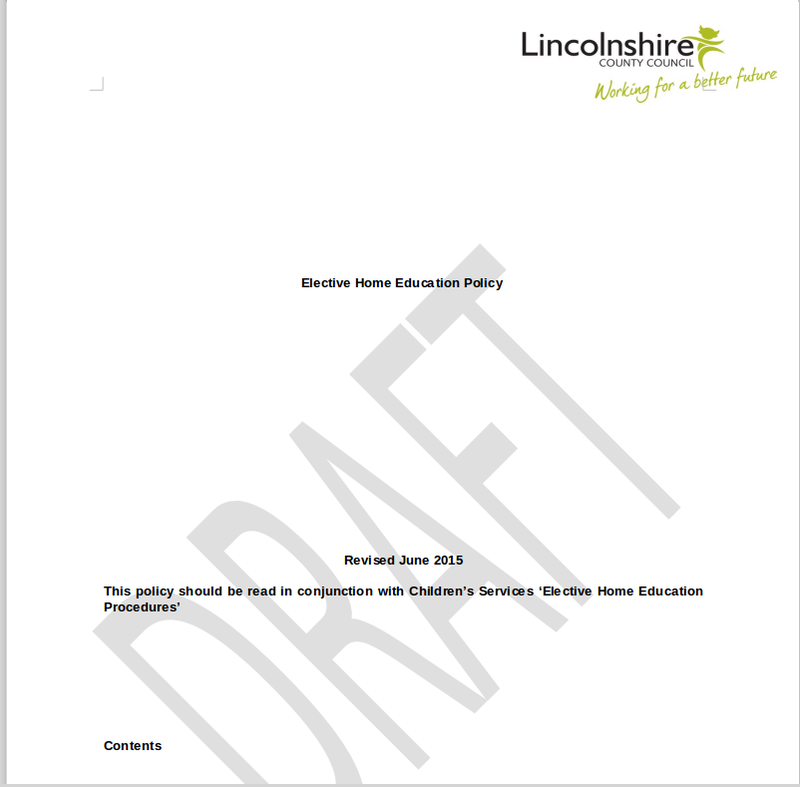 Lincolnshire’s home education policy consultation closes mid-day Monday July 20th. Parents were notified by letter in mid June. The first link is the ‘Elective Home Education Policy‘ Be aware that this is the CURRENT policy (2011) – for comparison purposes – and not the new draft. The third link is Draft Elective Home Education Policy Revision Jun15. This is the new draft policy. Please submit your views and comments, whether positive or otherwise to EHE@lincolnshire.gov.uk and put Consultation in the subject line. 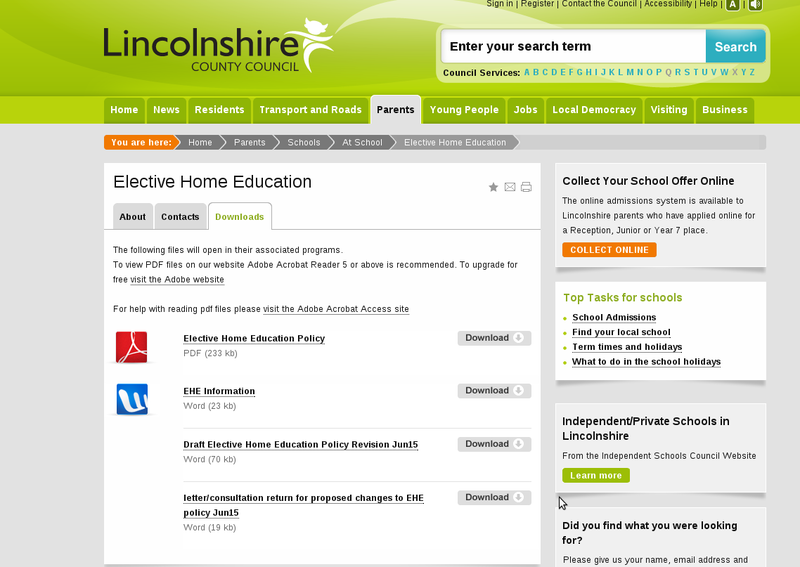 You may also submit your views by post to Elective Home Education Consultation, Elective Home Education Administrator, Lincolnshire County Council, Newland, Lincoln, LN1 1YQ. Here is the new draft policy.. 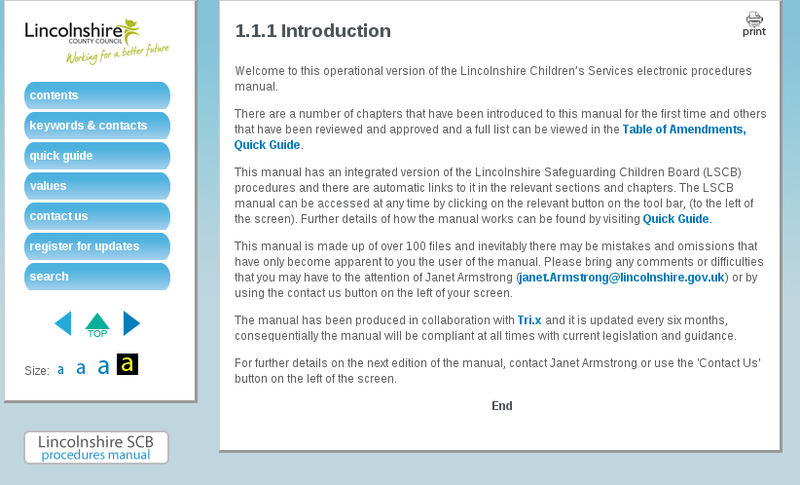 This opens by saying it should be read in conjunction with ‘Elective Home Education Procedures’. I have no idea whether these ‘Procedures’ are still current, whether they will be applicable when the new policy takes effect in September, or whether they come under the scope of the policy consultation. They may be OUT OF DATE, as noted here. I will probably make a response to the consultation based on the new Draft Policy alone and NOT ‘Procedures’. I might say something about EHE Information because it’s grouped with the new draft policy and letter to parents, although the page isn’t called ‘Consultation’ so I’m not 100% sure whether it is in scope or not. I fully accept that if I had begun my consultation response sooner I could probably have resolved these queries.